We’re secretly hoping Kelly Ripa lets Michael Strahan have it on Live! Kelly Ripa will be back on Live! next to Michael Strahan Tuesday for the first time since she reportedly stormed off the set after learning he’s leaving for GMA. Strahan reportedly blindsided Ripa with the news, and she hasn’t been on the Live! soundstage since — and her return will surely be eyeballed with extreme scrutiny. Pretty Little Liars star Shay Mitchell filled in for Ripa today, which was a pre-scheduled vacation day so she could celebrate her 20th wedding anniversary with husband Mark Consuelos. During the broadcast, Strahan actually mentioned Ripa’s absence for the first time. “She’s going to be back tomorrow, which we are all excited about,” he said. 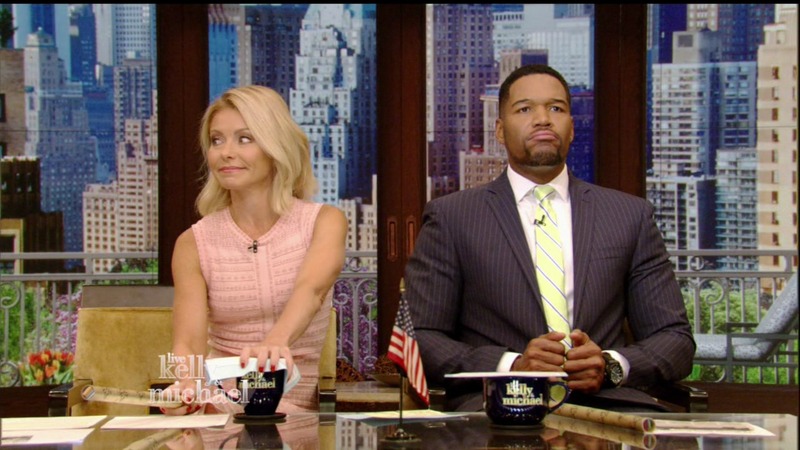 More: Kelly Ripa was right to freak out over Michael Strahan leaving Live! Yes, we are definitely all excited to see what kind of extraordinary shade Ripa will throw at her cohost after having a week to come up with an amazingly devious plan — particularly since sources say Ripa had her own opportunity to leave for GMA and turned it down out of loyalty to Live! “Two years ago Kelly was offered Michael’s current role of contributor to Good Morning America. She turned this down as she was committed to Live! and didn’t want to give less to the show that she had been focused on for well over ten years and then kept a ratings winner after Regis left,” an insider told the Daily Mail. Ripa reportedly wrote a letter to Live! staffers Friday, thanking them for their understanding and letting them know she’d be back this week. “I wanted to thank you all for giving me the time to process this new information. Your kindness, support, and love has overwhelmed me. We are a family and I look forward to seeing you all on Tuesday morning. Love, Kelly,” the note read. But producers fear the sweet words of her missive may betray a sinister plan: that Ripa plans to go rogue tomorrow and rip Strahan a new one. Alternatively, Ripa could take the high (i.e. boring) road and offer Strahan an olive branch. Yawn.